Is anxiety stopping you living your life? Do you want help to stop anxiety? Think how your life will change. It may be time for NLP and hypnosis. Anxiety is a word used to describe feelings of uncertainty. It also describes hesitation, nerves or fear. It is usually context related. The first question we ask someone who tells us they they want to stop anxiety is this. How do you know when to be anxious? Some feel anxiety when talking to strangers. Some feel anxiety when giving presentations. Some get anxiety driving on a motorway. A few will say they get anxious feelings all the time. There is, in our experience, always a pattern to anxiety. It s not random. It is often associated with depression. The way we help stop anxiety is to treat it as a learned behaviour. It is said that the only two fears humans are born with are those of loud noises and falling. The rest are learned. The brain learns quickly. You can often recondition anxiety quickly. The idea is this. The next time the person is in a situation which had made them feel anxious before, instead they feel more resourceful and capable. As with the majority of treatment we do with our clients, our approach to help you stop anxiety is threefold. We spend time looking and listening to the person to determine how the patterns of ‘anxiety’, the thinking/feeling manifest themselves. This also applies to depression as a result of continued anxious feelings. We then work consciously to begin to help build flexibility in the way the person thinks about things. Wee also work with the way they remember the past and imagine the future. We work with the way they talk to themselves, and literally the way they experience the world. To stop anxiety we work unconsciously using hypnosis to help the person to gain flexibility in their behaviour, We work with suggestion, metaphor and conditioning. We work to connect the person with the resources they already have but have been unable to access because of anxiety. By using this sort of training, we aim to help you to stop anxiety in its tracks, in just a few sessions. Sometimes the work can be rapid, sometimes it takes longer. It depends upon individual circumstances. Please make sure you have seen your doctor to rule out any treatable cause. This kind of training is complementary and should not be seen as a replacement for conventional medicine. There can be many factors in helping you to stop anxiety for good. Always seek qualified medical advice with regards to your health issues. 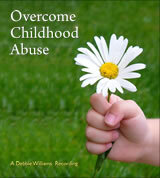 Overcome Anxiety Self Hypnosis CD & MP3 By Debbie Williams. ‘Overcoming Anxiety’ is suite of recordings combining the best of NLP and self hypnosis. The aim is to help you to stop anxiety and start being calmer, more balanced, centred and optimistic. Help Stop Fears, Phobias And Anxieties Self Hypnosis CD & MP3 By Duncan McColl. These excellent recordings have been one of our best sellers for years. Excellent CD and MP3 by Kathy Welter Nichols, ‘Releasing Fear’. ‘Depression is often associated with anxiety. With NLP it isn’t necessary at all to go back and talk about it to move on. By changing that mental movie to release you, the aim is for you to continue your life in a happy, productive and confident way. The aim is also to lift the weight of your shoulders and leaving the past behind. The aim is to stop anxiety for good. Well if it is a serious issue then please feel free to contact one of my colleagues listed below . There are a number of ways to work with someone who is anxious about sweating, but each practitioner is going to have their own take on what is best to do so please feel free to get in touch directly with one of us. Also with regards to sweating please have a look at the page and video specifically dealing with this issue. The link is in the panel on the right hand side of this page.